Labour Day or May Day has its origins in the labour union movement in the United States. May 1 was chosen to be International Workers' Day to commemorate the 1886 Haymarket affair in Chicago. May 1 is marked as International Labour Day, also referred as May Day. The day celebrates labourers and the working class. Labour Day is an annual public holiday in many countries. In India, Labour Day is referred as Antarrashtriya Shramik Diwas or Kamgar Din. It is also referred as International Workers' Day or just Worker's Day. Labour Day has its origins in the labour union movement in the United States. During industrialization in beginning of the 19th Century, the industrialists used to exploit the labour class and made them work up to 15 hours a day. The workers rose against this exploitation and demanded paid leaves, proper wages and breaks for the workforce. The eight-hour day labour movement advocated eight hours for work, eight hours for recreation, and eight hours for rest. The Labour Day annually celebrates the achievements of the workers. While the day has different story for different countries, the main reason for Labour Day is unfair treatment of the labour class. May 1 was chosen to be International Workers' Day to commemorate the 1886 Haymarket affair in Chicago. In that year, on May 1, there was a general strike for the eight-hour workday. On May 4, the police acted to disperse a public assembly in support of the strike when an unidentified person threw a bomb. The police responded by firing on the workers. The event lead to several deaths. The incident is remembered as the Haymarket affair, or the Haymarket massacre. The place in Haymarket Square where the incident happened was designated a Chicago Landmark in 1992. 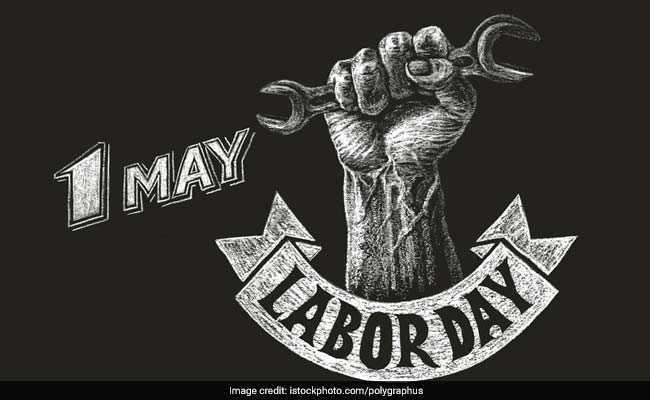 Labour Day or May Day has been a focal point of protests by various socialist and communist groups and is an important holiday in communist countries like China, North Korea, Cuba and the former Soviet Union countries. In India, the first Labour day or May Day was celebrated in the year 1923. It was the Labour Kisan Party who had organised the May Day celebrations in Chennai (then Madras). One of these was organised at Triplicane Beach and the other one was arranged at the beach opposite Madras High Court. Google is celebrating 'International Labour Day' with its purple coloured Google doodle.